The lives of two young English men run parallel paths as they venture over the English Channel to France. The distance between their travels spans fifty years and three generations of cultural differences. During World War II Ronald Johnson passes through adolescence to face the rapid transition into manhood which was forced upon the young men destined to participate in the D-Day invasion of Normandy. In 1944 no-one could foresee the legacy that his life would have upon generations to come. In 1995 James Bryant graduates from the University of Essex and travels to the South of France in a quest for freedom away from classrooms and lecture halls. With no plan other than to travel through the French provinces before pursuing a career. His journey has a spontaneity that develops into an unpredictable inevitability. Daniel Steyn had grown-up on his family's wine estate in South Africa's Cape Province. After completing his education at Stellenbosch University he is pursuing a career as a metallurgist in the research laboratory of South Africa's principle diamond mining company. 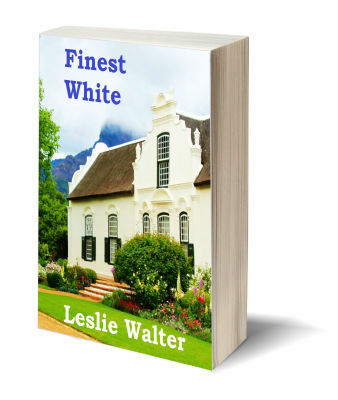 His employment takes him away to Johannesburg in the Transvaal, and whilst he enjoys his academic life, he is constantly drawn home to The Winelands of the Western Cape. Seizing every opportunity to visit his family home, Daniel faces up to the fact that the person he is really returning to see is Emily, the pretty coloured house servant. When Daniel and Emily declare their mutual affection and enter into a secret romance, they cross the Rubicon, breaking the laws of apartheid. 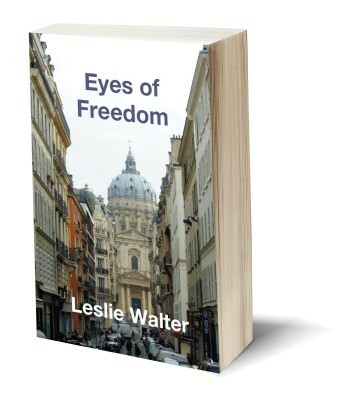 Refusing to sacrifice his love for Emily, Daniel enters into a subversive and dangerous plot for them to escape from the immoral laws of their homeland. These areas are completely editable and you can use them to list your publications, their blurb and any reader testimonials you may have. These areas are completely editable and you can use them to list your publications, their blurb and any reader testimonials you may have. In 1976, Hayden Lloyd, a young man from Stratford-upon-Avon, says goodbye to his girlfriend and family to pursue a career with an overseas posting to Iran. There is no way to predict, how this venture will influence his life, and the lives of those who know him. Adapting to life, within a society of different cultural values and strict religious discipline, he follows his heart, secretively stepping over religious boundaries to create an unconventional lifestyle of his own. However, his new life becomes engulfed by political events as everyday life in Tehran is subjected to anti-regime demonstrations which develop into riots. 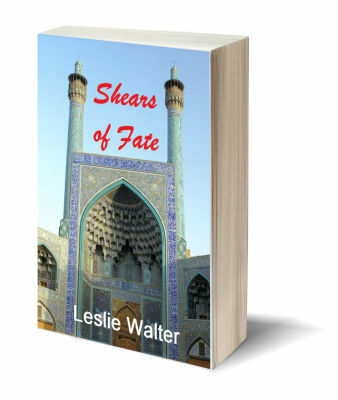 As revolution evolves the Shah of Iran is compelled to vacate the Peacock Throne, and Haydon Lloyd finds himself facing emotional turmoil and physical danger. Intrigued by limericks, and encouraged by a school teacher who enjoyed poetry, I was ten years old when I started constructing rhyming verse. This fascination became neglected as I ventured into higher education and developed an aptitude for mathematics and sciences. Although I occasionally wrote poetry, mostly of little importance, my first significant writing evolved from an emotional outpouring, caused by the grief which overwhelmed the British nation when a village school in south Wales was engulfed by coal slurry. Originally titled 'no-one came home from school,' I subsequently renamed it 'a black Welsh day.' 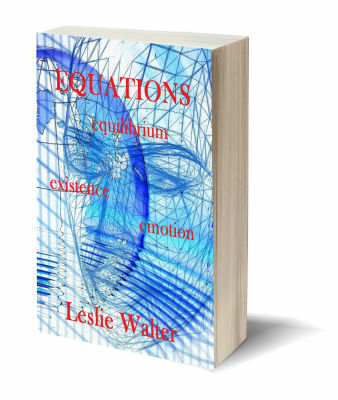 From that day forth I've found solace in expressing my emotions in poetic verse, some of which is shared in this algebraic titled book, 'Equations.' 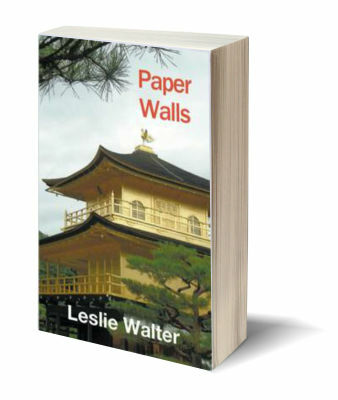 Leslie Walter. January, 2017. Michael Abbott, a civil engineer employed by a consultancy company in Kingston-upon-Thames, is nominated as manager of a small team overseeing the supply of specialised equipment for a project to expand oil refinery capabilities in Algeria. The principle administrators of the contract are based in Paris, and during his premier visit to their offices Michael makes the opportune acquaintance of a young Japanese woman who is destined to change his life. The chance meeting takes place in 1983, but Michael is haunted by a sense of déja vu that compels him to believe that he has met the young woman before. The haunting memory is actually a dream which he experienced exactly one year earlier, and as he struggles to come to terms with the possibility of a telepathic liaison, he finds himself becoming deeply involved with dramatic cultural changes that will influence his life.